This carbon steel hand trowel is a vital addition to any gardeners tool set. Features a tough, carbon steel head, a contoured, naturally finished wooden handle and a leather carry strap. 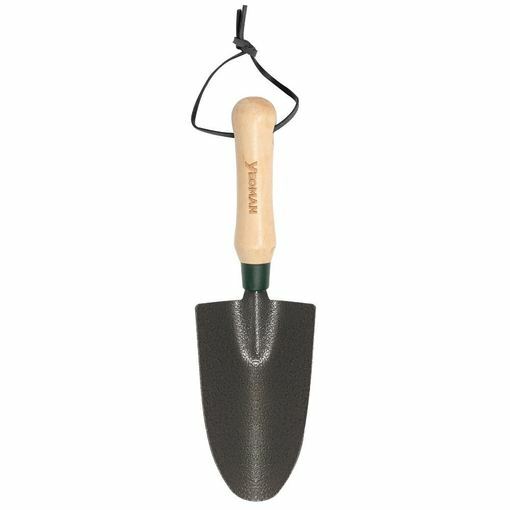 Ideal for working in flower beds and containers. Length 30cm.